All Company activities and the use of related plant, equipment and materials etc., which affect the safety of that place of work, shall be inspected in accordance with legal requirements; reports will be made and distributed to those concerned as necessary. Safety Inspections and other activities to measure, monitor and review health and safety performance, and conduct audit the effectiveness of the health and safety management system; will be carried out by competent personnel. This Policy shall be reviewed and kept up to date by the Director Responsible for Health and Safety, to take into account changes in legislation, reflect changes in the nature and range of activities carried out by the Company and take advantage of operational experience, negative and positive, as often as may be necessary. Adequate provision shall be made for the Welfare needs of employees whilst carrying out their tasks and duties and any hazard to health associated with the work shall be the subject of strict precautionary measures. This is further detailed within Section Two of the Health and Safety Policy. Information from risk assessments, performance monitoring activities, employee feedback and advice from our designated Health and Safety Consultants, will be used to identify the health and safety training needs of employees. An effective system for the communication of health, safety and welfare information will be maintained so that employees are made aware of the known or suspected hazards associated with or arising out of the work or duties assigned to them. Where necessary employees will also be suitably trained or instructed to enable them to carry out their tasks in a healthy, safe and efficient manner. The Company’s Safety Officer/Consultant will carry out safety Training on behalf of the company. The practicalities and Method of Work training will be carried out by the Company’s Managers and overseen by the Safety Officer/Consultant. Employees will be trained in the safe use of plant/equipment which they will be using for their work by the appropriate Plant Operators course where required. Where certification is not required, employees will be instructed on how to use plant/equipment safely, directly by the Safety Officer/Consultant, manufacturer/supplier/hirer, or by the Company’s Managers who themselves would have been instructed on how to use the plant/equipment properly and safely. To ensure all the Company’s employees are kept up-to-date with safety matters the Company has formulated a library of safety information, Codes of Practices and Health and Safety Legislation etc. This library will be maintained with up-to-date information and changes in Law etc. The requirements of any Statutory Legislation or Code of Practice applicable to the processes or operations being undertaken and/or the premises that they are undertaken shall be observed. 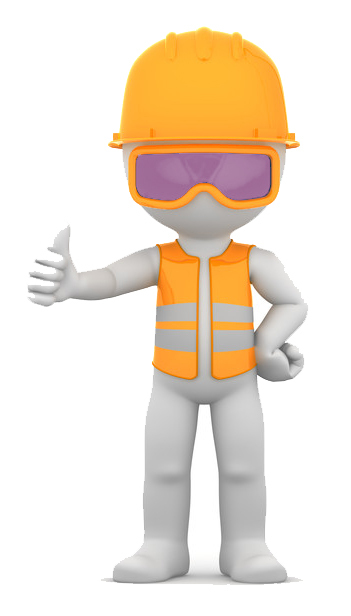 Suitable and adequate measures shall be taken to safeguard any person, plant, equipment, property, material or product likely to be exposed to any known or suspected hazards associated with or arising out of the processes, tasks or operations being undertaken. The Company will take into account at tendering stage, those factors which assist in eliminating injury, damage and waste. All activities shall be conducted in a responsible manner and so planned and controlled that the possibility of unplanned events occurring is reduced to the practicable minimum. It is recognised that accident prevention is a joint responsibility of all those mentioned in Part Three of this section of the Policy and that to understand their joint responsibilities, good communication and consultation will be necessary. © 2018 J Hare Diamond Drilling Ltd.